Three medical facilities run by Médecins Sans Frontières have been partially or completely destroyed in the past three months. Haydan was hit in October, followed by Taiz in December. Then, in January, Razeh was hit by missiles – yet again launched in all likelihood by the Coalition forces. 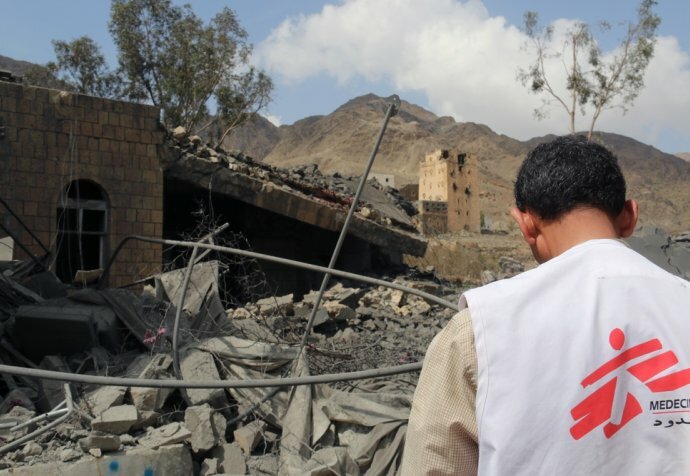 The toll of the successive attacks on Médecins Sans Frontières facilities is worsening: while there were no casualties in Haydan, 9 people, two of them Médecins Sans Frontières staff, were wounded in Taiz. Then, in Razeh, 6 people were killed and at least 7 others wounded. There has been a drastic reduction in the provision of healthcare for the population, particularly in the north of the country where many health centres have been either destroyed or totally abandoned.